One of the more dominant themes I see in society (increasingly in younger generations though it can be evidenced in some form or fashion in all) is the complete comfort of asserting to be a Christian while being well at-odds with the clear ethics of Scripture. I don’t mean coming to different conclusions because of honest exegetical work. That kind of sincere dissonance is par for the course in the church and witnessed throughout her history. I’m talking about individuals or groups who consider themselves part of the historic, orthodox Christian faith but reject the historic, orthodox teachings of Scripture (e.g., sexual ethics) and have no substantive answer to the challenge of their positions outside of the regularly subjective speak-your-own-truth retort – which is packed with terminology and phrases from culture but absent of Scripture in any substantive sense. Bavinck asserts that the Spirit of God not only testifies to the authority of the Word of God for Christians but “causes [them] to submit” to it as he does them to Jesus himself. One implication of such thinking is that a frank unwillingness to submit to the clear ethics of Scripture, and even more so an outright rejection of them, might less indicate a Christian’s hardness of heart as much as a lack of authentic faith to begin with. 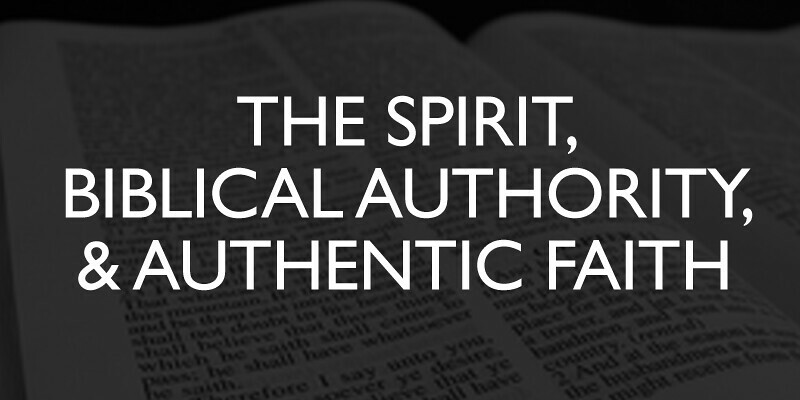 Recognition of and submission to biblical authority may be seen as optional for many who claim to be followers of Jesus but for those who have been genuinely converted, a growing submission to the Word of God isn’t just part of their initial step in the faith, but of every one afterwards. Bavinck reminds us this is so because the Spirit has promised to work in us for these things. And it is also why you can’t claim Jesus if you won’t submit to the Scriptures that proclaim him. Or if in doing so it is only because pick and choose the Scriptures they like to think of as inspired. In reality, these individuals have ultimately chosen themselves as the authority in place of the Bible.